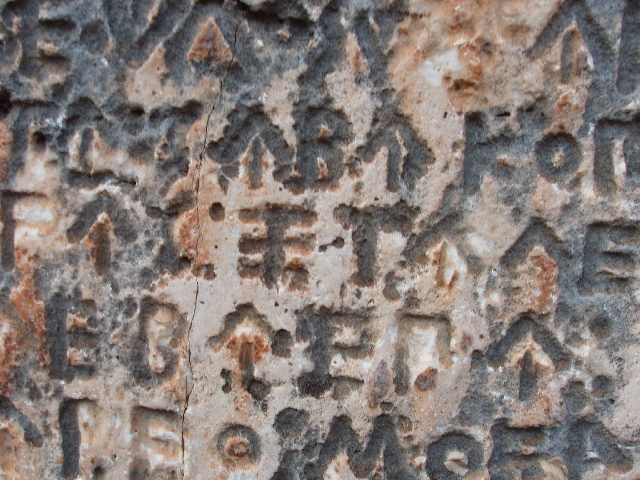 The 4th Century BC script is similar to Greek but has extra letters. In the photo there are upward arrow letters, and letters like two Es back-to-back. It is on the Lion tomb at Kas.